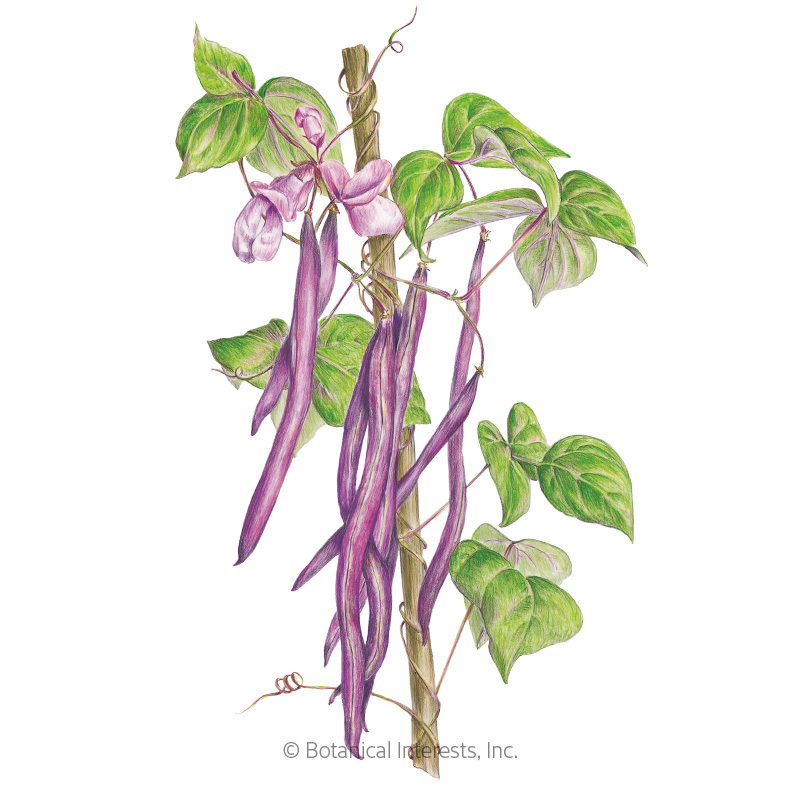 Some say pole beans have better flavor than bush beans. 'Blue Lake FM-1K' certainly would support that statement. Besides outstanding flavor, plants are high-yielding. 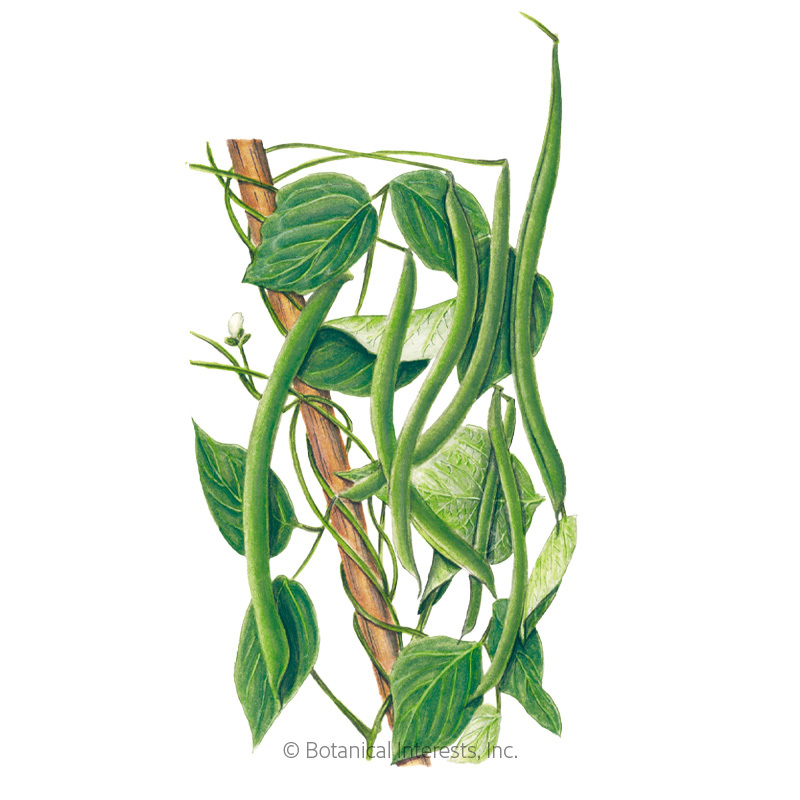 Vigorous, 5'–8' vines produce a bounty of 5"–7", white-seeded beans that are excellent fresh, and also canned or frozen. Disease resistant. This packet sows up to 96 feet or two 4-foot diameter teepees. This packet sows up to 24 feet or two 4-foot diameter teepees. 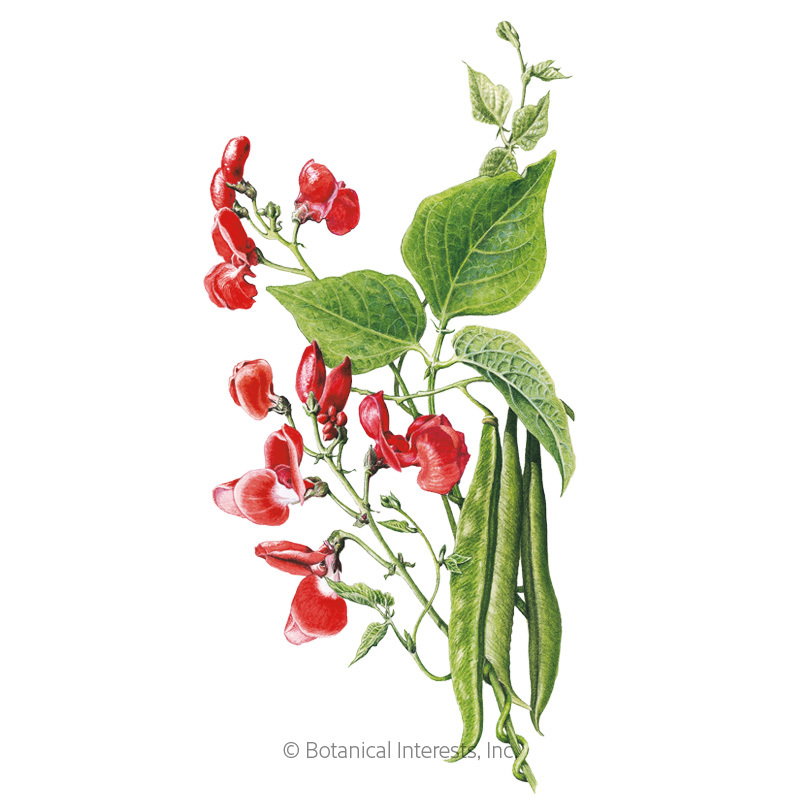 Variety Information: 5"–7" long, ½" wide silvery-green pods; stringless when young, white seeds. 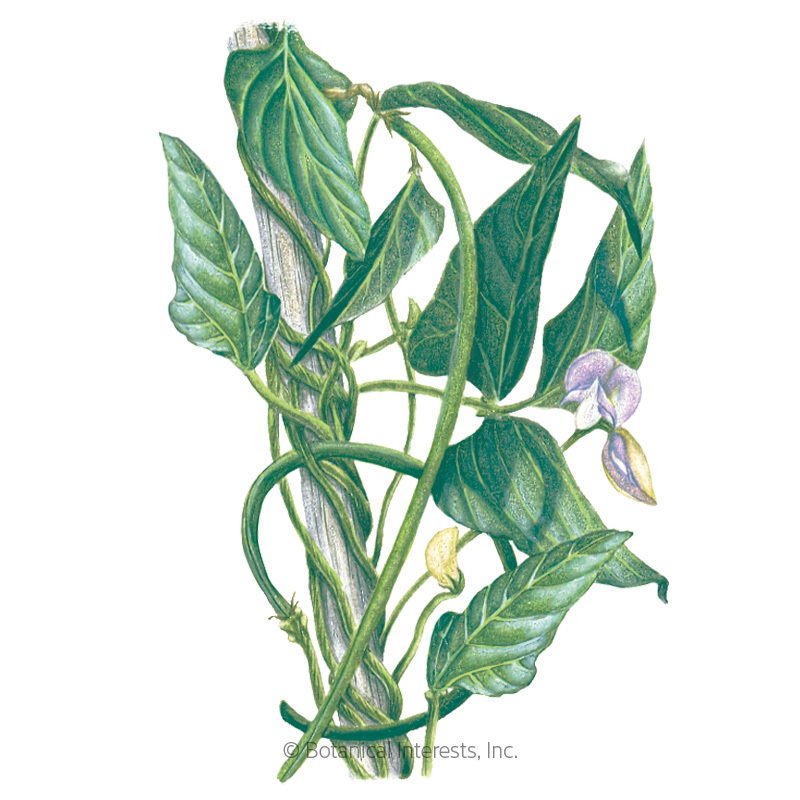 'Blue Lake FM-1K' is common bean mosaic virus resistant. When to Sow Outside: RECOMMENDED. 1 to 2 weeks after your average last frost date, and when soil temperature is at least 65°F, ideally 70°–85°F. Successive Sowings: Every 7 to 14 days up to 80 days before your average first fall frost date. NOTE: In very hot summer areas, skip sowing as high heat approaches; temperatures consistently above 90°F will prevent beans from forming. Seed Spacing: 1 seed every 6"